On 27th August 2013, Programme Manager Bivujit Mukhoty visited Dehra Dun schools along with Priyank Kumar Gupta (Head, YES Communications Manager). The day was stared with an orientation programme at Welham Girls' School where 200 Award participants attended the session along with the teachers involved in the Award activities. Anuradha Bawa (Award Leader) arranged a one-to-one session with the Award aspirants to expand the possibilities and choices in their Award Journey. After this session the NAA Team visited Summer Valley School for another orientation session. 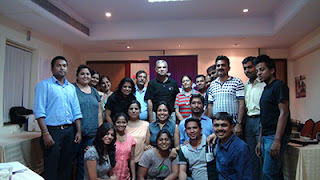 The team was welcomed by Sumit Sharma (Award Leader). 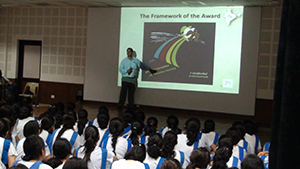 Around 80 students participated in this session and showed their interest in participating in the Award. Augmenting the capacity of Award delivery, the National Award Authority organised a two-day National Training Workshop on 23 and 24 August 2013 at the YMCA, Mumbai. The workshop had a strength of 21 participants from different Award Units such as NAZ Foundation, Magic Bus, Singapore International School, Jamnabai Narsee School, Jungle Lore, Trailblazers, Bombay Scottish School, Lady Khatum Mariam School, Navrachna International School, Sanjeevan Vidyalaya, and Maina Devi Bajaj International School. The training was given by the NAA National Director Kapil Bhalla; Programme Manager Bivujit Mukhoty; YES Center Manager, Ansal University and National Trainer, Pratibha K Singh; and Gold Award holder and National Trainer, Rajarshee Banerjee. Engaging the participants through creative activities and thought provoking discussions, equipping them with the relevant and desired skills to be an Award Leader and empowering them with the Award information were the objectives of the two-day workshop. There was a special emphasis on the new NAA licensing policy and International brand and Visual Identity guidelines. The most beautiful thing we can experience is the mysterious. It is the source of all true art and all science. He to whom this emotion is a stranger, who can no longer pause to wonder and stand rapt in awe, is as good as dead: his eyes are closed." It is very often said that eyes are the windows to our soul. But unfortunate are those who cannot see. And blessed are we who have this wonderful gift of nature. Realizing this fact, 40 Bronze and Silver Award participants of Cambridge International School, Phagwara organized an Eye Donation Awareness and a free eye check-up camp within the campus under the guidance of Principal Jorawar Singh. This endeavour was supported by Punarjot Eye Hospital, Ludhiana under the expert guidance of Dr. Ramesh and Ashok Mehra of Project Saanjh. 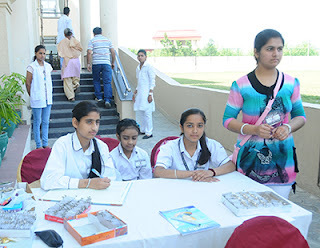 The entire camp was organized in the school with the help of Award participants, right from registrations, traffic management, projector operating, helping in distribution of water and free snacks for patients, housekeeping, patient ushering, managing and sorting dark room area team. The participation on behalf of the school staff was overwhelming. The Award aspirants worked relentlessly from morning till evening to support the cause. The camp was attended by 1000 people from the town and nearby areas. This dignified cause was further supported by 48 people who pledged to donate their eyes to the hospital. The students also received certificates and a medal as a token of appreciation on behalf of Punarjot Eye Hospital. "IAYP has provided us with memories that will stay with us, growth that will help us in all areas of life, and bonds that will last forever..."
Having recently been honoured with an Outstanding Service Meritorious Recognition for 10 years of service to the Award Programme in India, Noshir Engineer, Award Leader, The Cathedral & John Connon School, Mumbai talks about his journey with IAYP. Here are some excerpts from the interview. *Tell us a little about yourself..
"I joined The Cathedral & John Connon School in the year 2000 as a chemistry teacher and in 2004 the responsibility of running the IAYP programme in school was placed on my shoulders. 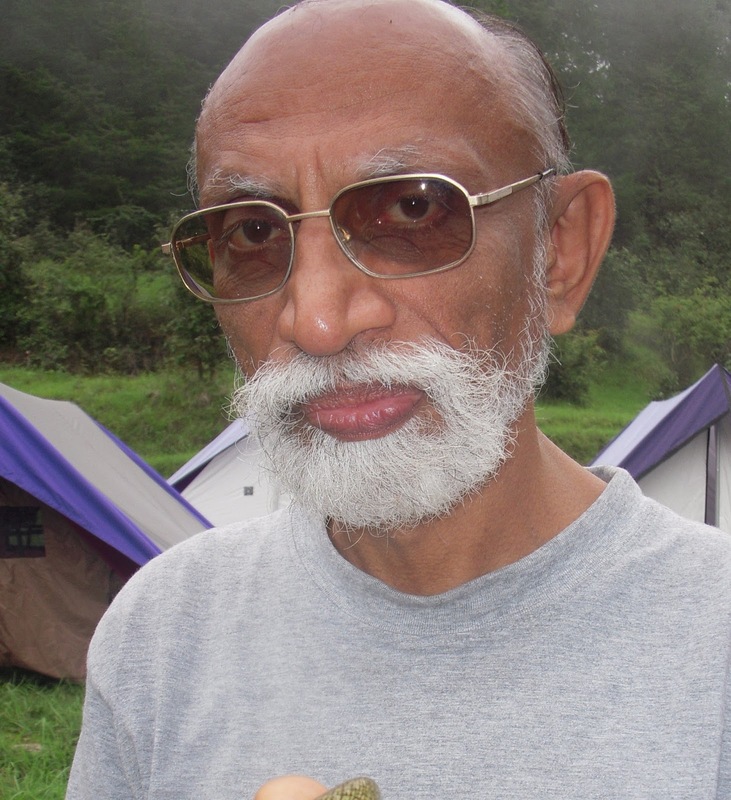 My wife and I have a great passion for trekking and have covered difficult treks like the parikrama of Mt. Kailash and Mansarovar. Both of us love nature and all the elements of God. So I gladly took on this responsibility and have savoured every moment of each camp. Our school has four clubs and IAYP is one of them. All students have to compulsorily join any one club. From the time I took over as Award Leader for running the IAYP Club in our school the club has come a long way. Earlier some camps had to be cancelled due to the lack of children enrolling for them. Now with a strength of 278 students enrolled with the Award, our camps get an overwhelming response. The Cathedral Hiker's Club has also been introduced for students who are under fourteen years of age. Our school conducts five camps every year. The first camp is an introductory camp for the new Bronze Level students. Then we conduct two camps that are common for Bronze and Silver Level students, one tough trek only for the Gold Level students and the final summer camp open for all levels. Every camp is meticulously planned up to the most minute detail. All activities at the camps are closely monitored and graded by skilled, dedicated, caring, knowledgeable and responsible instructors and teachers. During each academic year the students are tested on their mastery of skills, trust, fitness, confidence, tenacity, leadership, initiative and compassion and these grades are a part of their report cards. *How has the Award impacted the life of students? It has always been our earnest endeavour to help the students get away from academic pressure and de-stress. The students can explore the vast expanse of valleys, snow-capped peaks, splendid water falls, magnificent meadows, dense untouched forests, birds, animals and flowers. Trekking through nature is an experience of a life time. We believe that children who regularly trek, explore and try to understand nature, ultimately turn out to be physically and mentally fit and this helps in enhancing their capabilities. A meaningful wilderness experience that balances challenging adventure and exploration with fun, helps students to boost self-confidence, self-belief and self-discipline. It builds strong bonds of friendship and gives students a newfound independence which lays down the foundation to conquer and challenge their limits beyond all expectations. Last year we conducted our first international camp in the beautiful country of Bhutan. This camp became widely acknowledged as the best camp any of us has ever been for. We saw some breath-taking views and beautiful monasteries. The treks were very challenging and tested all of us physically and mentally. The people of Bhutan were friendly, the streets were spotless, and the camp was extraordinary. Many friendships and long lasting bonds were established, and this was a trip that is never going to be forgotten by any of us. The Residential Projects at Karjat where students working towards their Gold spend 5 days with the Light of Life Trust, at Jalna where our students worked at the Ganpati Netralaya and at Daang village in Gujarat where our students scrubbed and painted the moss covered walls of the village school, were enriching experiences, where our students visited the local villages and engaged in some impactful social service. This club would not be what it is without our teachers who have accompanied us on every camp and the undying encouragement and support of our Vice Principal Mrs. J. Mayadas and our Principal Mrs M. Isaacs. IAYP has provided us with memories that will stay with us, growth that will help us in all areas of life, and bonds that will last forever. It will always remain close to our hearts. IAYP has become our school's most popular club, having the maximum number of members, the most entertaining and enriching trips and the overall best club experience. "If you think you want to do social work and change the society, pause and think again. the society will change as a consequence"
And this time the Award India team absorbed Mr. Dang's words literally! The journey in the Northeast began with the Congress of Leaders and Trainers on 28th July, 2013 at The Assam Valley School exchanging the purpose and objective of the Award programme in the region through the positive strategy of Engage/ Equip/ Empower/ Reward. The Congress worked sincerely to empower knowledge and skills during the training towards being an ideal mentor that the youth can be proud of. Thus, here was a second chance for teachers and mentors to bring service and workmanship to overcome challenges related to conflict and resolutions. The sessions were focused, using training tools and activities that broke the monotony of the training. There was homework for Award leaders after every session to help them tackle the increasing irregularity in filling in of Diaries and Record Books, emphasizing the delivery of the Award and Voluntary service in specific units. The team experienced the essence of effective communication and follow up to increase the completion rate of the Award participants registered in each Award unit; the rigour of motivating each Award participant in the journey of self-realization and self-development. The National Training Workshop had a mixed bag of young as well as experienced leaders who were deliberating the foundation of the Award programme in the East; setting a milestone and target of sustainable projects impacting livelihood and society. The Award Units and Leaders have now begun their march to explore the possibilities and chances through the Youth. The National Training Workshop at AVS was successful in creating an awareness and need of the Award Programme to expand amongst the youth. D. N. A. Mountford, Headmaster AVS, who had been an Award Leader as a young Master, presented the certificates to the successful Award Leaders. Kapil Bhalla, Bivujit Mukhoty and I set off on the roads of Northeast on 31st July '13. From AVS we drove crossing Numaligarh, Karbi Anglong region to reach the Livingstone Foundation School in Dimapur. Planning the next phase of the tour, Andrew Ahoto, Chairman of the School vowed to provide a forum and guide the Leaders and Youth of Nagaland through the benefits of the Award. Ani Ahoto shared her experience in voluntary service and work toward women empowerment and family health in Nagaland creating a forum through her friends with similar beliefs to make a better community in Dimapur. Mr. Bhalla visited Kohima and met with Merentoshi Jamir, Minister of Youth Affairs and Sports, Govt. of Nagaland, to discuss the implementation of the IAYP programme in the state. The spark in Mr. Ahoto's eyes at dusk before we left Dimapur was assuring. This move will mark history for the Award as this would be the first time when the Award is reaching further East since it's inception in 1962. From Dimapur we travelled to The Bethany Society, Shillong by rail and road that added much needed flavour to our work. Mr. Carmo Noronha has been spearheading the Special Project at Bethany that helps thousands in the region, rehabilitating and restabilising lives of the differently-abled. He introduced us to young people engaged in skill work, sewing, stitching, baking, making bamboo baskets and the list was exciting because the three of us seemed challenged to do even one of them. I was called by this boy weaving a beautiful basket near the door. I squatted to speak to him, but in gestures, as he could not see, hear or speak like us. My friend Soni held my hand and began signing with him as he shared his updates. We felt good meeting each other. It was an enriching experience to conduct a very different orientation programme for the faculty of the Bethany Society who were differently abled. Mr. Mukhoty and I tried to communicate the sessions in the best possible way using tools and gestures. There was discussion on the flexibility of the Award as far as entry in the Diary and Record Books are concerned. The availability of the Award to participants of every capacity was now a dream realizing experience. And as we sailed in this revitalizing journey of the Award we pondered that at the end of the day, one strong element in the Award that binds everyone together is Trust. And it is this trust that brought the relationship between the organizations closer towards not to move a mountain, but bring people closer in their objectives, inclusively. One such story of bonding is that of a Senior School Master who recently accepted the leadership as Rector at Fr. LeBlond School, Siliguri. Mr. Niranjan. P. Datta had invited us in a hope to facilitate international opportunities to the Youth in the area. Mr. Datta believed that Fr. Leblond was an inspiration to many students at the St. Pauls School, Darjeeling. This School dedicated in his name would now join hands with IAYP to inspire many young lives. Principal - Mrs. Chandha Das introduced us with a welcome note to the audience in readiness to know all about the Award. We conducted an intensive Orientation session for staff and pupils who showed great exuberance and asked questions on the journey of the Award. Having a fruitful meeting with the Community we were glad to travel all the way on the Calcutta highway from Siliguri. As everyone bid goodbye to us, it was more evident that we had found a genuine Award Unit that was just waiting for such opportunity; one just had to make an extra effort. Winding up the tour, we drove off to our next meeting. Mr. Mukhoty whispered, "Our journey has just begun." I saw a strange enlightened content in his eyes as he took a deep breath. Indeed Mr. Mukhoty was now meeting a long lost friend and colleague, Mrs. Shweta Tiwari now the Principal of Birla Divya Jyoti on our journey onward from Siliguri. It was a coincidence that I witnessed how the Award has bound so many individuals for many years through their belief in the programme. The brief meeting brought greater transparency to our objective. And we bid goodbye to meet again. There is no success, no failure; the most treasured reward of the programme is the satisfactory feeling that can only be felt when you connect people with similar beliefs in a genuine effort to improve the possibilities for the Youth in quest for self development. Volunteers indeed hold the Award programme as pillars of hope and action. The trio bid goodbye to each other amidst bandhs in Siliguri and only hoped that the Youth there will engage in positive community building activities and not that of conflicts in future through the Award; realizing greater need of adult volunteers in order to help them sail through significant years of their lives Forming, Storming and Norming. Looking forward to hearing from more leaders in the East, indeed the journey has just begun. To experience something we have never experienced before, to lead a life we have never led before and to plunge into a world unknown...that’s what IAYP was to us. We were twelve uniquely different Gold Award aspirants, twelve varied ideas but with one cause: taking a small step in the direction of service. Just because they do not have Gucci or Prada in their wardrobe, or even a wardrobe, it does not make the Adivasi tribes any less fortunate than we are. Have you ever run around barefoot, feeling the mush of the tribal land? Have you ever had a bath in a cool stream, your only companion underwater being a snail? Have you ever taken a walk in pitch darkness, the only light guiding you being a small star? You would if you were part of the residential project for the IAYP. When we arrived at the Nilgiris Adivasi Welfare Association (NAWA) compound on the 17th of March, 2013 we had no idea that the next five days, though filled with hardship and struggle, were going to be the best days of our lives. We realized the truth in the words of Gandhiji, the Father of our nation, "The best way to find yourselves is to lose yourselves in the service of others" when, with our own hands, we built a road for a destitute home, weeded a garden working under a scorching sun and broke all barriers of language through our body language and smiles. Staying with the poor and illiterate and being the cause of their smiles, we realized the value of our determination to do something worthwhile for them. The ecstasy of watching the children squeal and jump for joy when they won a game of volleyball was far greater than that experienced after a successful game of FIFA 13 on our laptops. Talking to the villagers we were made aware of the universal needs of food, shelter, clothing, being accepted by our near and dear ones and improvement of standards of living. We all realized that all, whether rich or poor, had similar dreams and most would go all out to fulfil them. The only difference was the strong gender divide as a result of which the mother was seen preparing her daughter for her marriage and the father being the food-provider of the family. We had only heard stories of places where there was only one tap (not providing distilled water, of course) for an entire village, and during this trip, we had to make do with merely one. A small adjustment like this made us proud. No doubt we felt triumphant that we had saved thousands of rupees for the orphanage by building a path. We took stones and water from the forest and assumed the role of road rollers. Further down, close to the forest, we built a road for the tribals, providing them with their only link to the world. At a nearby farm owned by a tribal, we created a pumping system to water plants with the help of a pipe using our knowledge and life experiences. The joy on the face of the family members was worth much more than any prize that we won in inter-school competitions. Our satisfaction did not end with this. A long trek took us to a poverty-stricken tribal village. Gone was our fatigue when the children and adults there showed their happiness at receiving stationery and clothes that we had carried for them. We came away learning a lot from them though it was we who had acted as teachers to the children of the village: tackling the travails of life without a complaint, taking life one day at a time, trusting all without a question, were what we learnt from this experience. Besides this, we learnt the benefits of teamwork and had the fruit of perseveracnce and 'loving our neighbour as ourselves', thus making us feel privileged and blessed. A two-day National Training Workshop (NTW) was organised by the Award India team at The Assam Valley School, Tezpur, Assam. The workshop was attended by 14 Award Leaders from 8 different institutions of Dimapur, Guwahati, Tejpur, Kolkata, Patna and Jaipur. The workshop was mentored by Kapil Bhalla (National Director), Bivujit Mukhoty (Programme Manager) and Ranjana Rai (Member NTP). Through a series of activities and practice sessions, the participants absorbed the ethos of the Award and the four sections - Skills, Service, Physical Recreation and Adventurous Journey. The National Award Authority team and members of the National Training Panel toured the North-east, visiting existing and potential stakeholders. At the YES Centre Livingston Foundation School, Dimapur the team met the Chairman Andrew Ahoto and planned the expansionof activities in other schools of Dimapur. The National Director visited Kohima and met Merentoshi Jamir, Minister of Youth Affairs and Sports, Govt. of Nagaland, to discuss the implementation of the IAYP programme in the state. On 1st August the team visited Bethany Society in Shillong and met Carmo Noronha, Director for Special Projects, who spearheads the participation of the institution in the Award Programme as a YES Centre. The team also conducted a two-hour orientation programme for Award Leaders who will mentor participants with special requirements. On 2nd August the IAYP team visited Father Leblond School at Silguri and met with Niranjan Dutta (Rector) and Chandha Das (Principal) and. A three-hour orientation programme was conducted for 12 teachers and 70 students. "Young people are a wellspring of ideas for innovation. They are today's thinkers, problem-solvers and catalysts for peace. They are often the world's strongest advocates of justice and dignity. But they need good jobs, quality education and access to culture for all. They need to be heard and they need to be included". As we approach the UN's International Youth Day on August 12, we focus on the young people who do, deliver and support the Award worldwide. International Youth Day recognizes and celebrates young people and the contribution they make to society, many of them doing this through the Award. This year's theme for International Youth Day is 'Youth Migration: Moving Forward', how it unites people from different backgrounds, abilities and cultures. 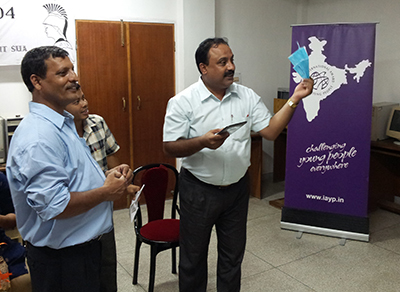 We at IAYP India have been doing our bit to promote social inclusion through the Award. The Special Project was launched in 1999 in collaboration with various well-established NGOs to empower the disadvantaged youth from underprivileged sections of society to realize their potential, build their confidence and work towards achieving their goals. The Special Project units aim at harnessing the potential of young people from socially isolated sections of the society and providing them the necessary resources to complete the Award programme. We, at IAYP, believe that everybody deserves a chance. This is exactly what the Special Project aims to do. In this task, the Indian Award Programme was assisted by a supporting grant from the International Special Projects. Over 3000 young people and 13 educational institutions are participating in the Special Projects programme on an equal footing. The programme is extremely popular with young people of both sexes and at times it is difficult to cope with their enthusiasm to join the Award Programme in all its activities. 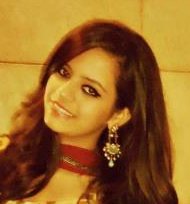 Vicky grabbed the opportunities offered by the Award in India. In a recent interview with the BBC 's Alice Beer, he spoke of the support and warm encouragement he got in taking photography as a Skill, and how Award expeditions opened his eyes to a world beyond the mean streets. Vicky partnered a blind participant from the Blind Boy's Academy in Narendrapur, Kolkata during his Residential Project. He had to describe nature to his partner as they walked, and was amazed at this new way of looking at things. He watched these visually handicapped young people stride ahead in confidence, and realized they were role models to village families who hid their sightless children in the dark corners of their homes. Vicky says, "Without the challenge of the Award, I would still be washing dishes. Today, my eyes are open to the endless possibilities that life offers. The Award has given me the confidence to grab my opportunities." What can you do on International Youth Day? To commemorate the Day, you are encouraged to organize events or activities in your community. Please share your commemoration with the world! Send in a description of your planned activities to youth@un.org. The most creative activities will be featured on the United Nations website to provide a sense of how International Youth Day is being celebrated around the world! Educational radio or TV show Contact popular local/national radio or TV stations to request a slot to have a discussion with distinguished individuals and youth migrants. Organize a public meeting or debate to discuss the risks and benefits of youth migration and the innovative ways youth can tackle the challenges of migration at the local, national, and international level. Organize a Google+ Hangout to bring together young people and relevant stakeholders from all over the world to discuss experiences of youth migration. Initiate round table discussions among adults and young people to promote inter-generational understanding and partnerships on the issue of youth migration. Organize a youth forum to exchange ideas and discuss the social, economic and cultural backgrounds of migrants in order to help young people accept others and popularize a culture of non-violence and tolerance. Organize a concert on youth migration and development to promote International Youth Day. Invite your local musicians and combine it with a panel discussion or invite a politician or policy maker to hold the keynote speech. Create an "info point" about youth migration-related issues in the center of town/village, at high schools, or at university centers. Organize an exhibition Get permission to use a public space for an arts exhibit, which showcases the challenges of young migrants today or how young migrants including returnees are contributing to development at home and abroad. Try to involve young people in the domains of culture, arts and music, to raise awareness on youth migration related issues. Write to your minister of youth to inform him or her about the challenges young migrants, potential youth migrants and other youth face in their daily lives and to suggest solutions.